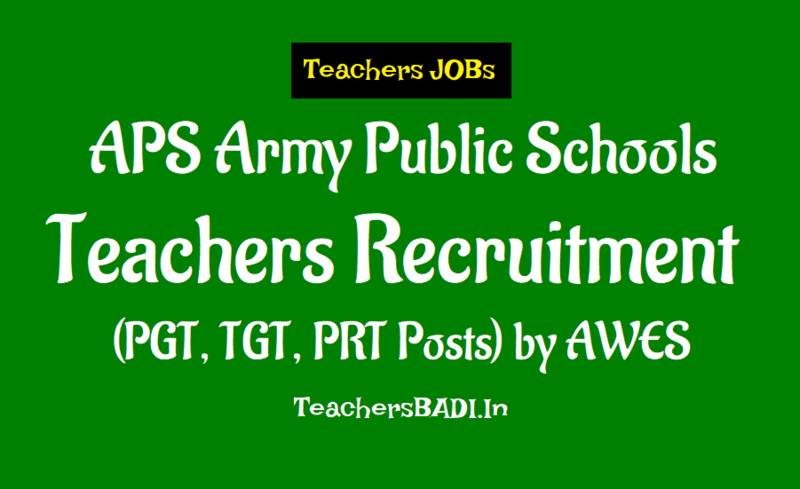 Army Welfare Education Society (AWES) invites applications for Combined Selection Screening Examination 2018 for the post of teachers at Army Public Schools. There are 137 Army Public Schools (APS) located in various Cantonments and Military Stations across India. The Army Welfare Education Society has 137 Army Public Schools (APS) located all over India functioning under its flagship. Over 8000 vacancies likely to occur in next academic session. Date of Exam: 17, 18 January 2018 (Tentative). Eligible candidates can apply to the post through the official site of Army Welfare Education Society at www.awesindia.com on or before 21 December 2018. Registration schedule: 01.10.2018 to 24.10.2018. Date of Exam: 17, 18.01.2018.